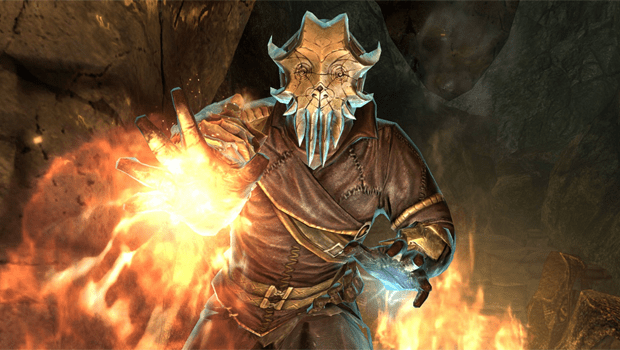 Those of you Skyrim fans who have the game on PC, some good news – the Dragonborn DLC has been released on Steam! Some additional details about this DLC will be available below, but first I have to say… just look at that snazzy villain there. I’m not sure who he is or what role he plays in the game, but I’m definitely getting a Dagoth Ur vibe off him. Not to mention, that’s just some very fine detail on that model. Anyway, I promised details! After the cut, for those of you out of the loop. We’ve got a review of Dragonborn, at least for the console version, but of course most of the pertinent details are going to be the same – so be sure to check that out if you’re on the fence about this one.